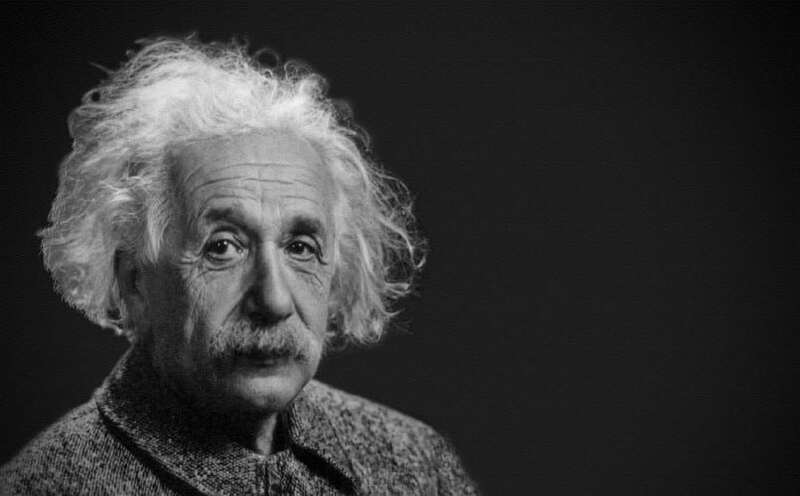 How do geniuses become innovators? Are all innovators geniuses? Or vice versa? What creates genius within us? And how do we convert those gifts to groundbreaking innovations that can change our communities, businesses, or the world? Melissa Schilling was driven by these questions as she researched the eight men and women whose stories form Quirky: The Remarkable Story of the Traits, Foibles, and Genius of Breakthrough Innovators Who Changed the World. Dr. Schilling, the John Herzog Family Professor of Management and Organizations at New York University’s Stern School of Business, is one of the world’s leading researchers in the innovation strategy of industries like smartphones, computers, software, video games, biotech-nology, renewable technology, and electric vehicles. She’s written a pair of leading strategic management textbooks and contributed to many leading journals, as well as the Harvard Business Review. In Quirky, Dr. Schilling studies the minds, characteristics, innovations, and learning processes of eight women and men who represent cornerstones in American and global innovation over the past 250 years: Albert Einstein, Elon Musk, Nikola Tesla, Benjamin Franklin, Thomas Edison, Marie Curie, Steve Jobs, and Dean Kamen. In so doing, she opens up the larger relationship between innovation and genius, while also pointing out some of the challenges in society and education today that might impact our future innovators. We caught up with the outgoing, energetic Dr. Schilling for an exclusive interview. Innovation & Tech Today: First and foremost, what was the inspiration for writing this book? Melissa Schilling: I have been in innovation for a long time. I wrote the number one innovation strategy text in the field that I revise every couple of years; it’s in its fifth edition. I felt like I knew the innovation literature pretty well, because every time you revise a textbook, you have to go survey everything that’s out there. I’m also personally interested in creativity. I stay pretty up on the research and psychology on creativity and the research on innovation. In 2010, Steve Jobs wasn’t looking that great. I had a lot of students coming up to me and asking, “What’s going to happen? Is that innovativeness really him, or is it something that’s in the routines and processes at Apple? Can it be handed down to a successor? How much of that is magic we can replicate?” Fundamentally what they were asking was, “How can I be like that?” I went back to the research on innovation and creativity thinking and couldn’t find good answers to these questions. I was very disillusioned and disappointed in how little we knew about genius innovators. I&T Today: What was your next step? Melissa Schilling: I started studying Steve Jobs. I thought, “I want to understand what this man is like as a person. I want to understand what his biases are, and what his beliefs are, and what his childhood experiences are.” I just really wanted to know everything I could know about him. I already knew a lot about Apple, because I had been writing and teaching about Apple most of my career. This time, I set out to really understand the man. I absorbed full-depth immersion in Steve Jobs for almost a year. During that process, I noticed that he had these really strange commonalities with someone I had already written a case on a couple years before, Dean Kamen. If you’re in STEM, you know who Dean Kamen is, right? I&T Today: We’re very familiar with Dean through our STEM Today publication and association with the U.S.A. Science and Engineering Festival. I&T Today: It makes sense, then, why you named the book Quirky. Melissa Schilling: Yes. The first few commonalities between these people are odd. For instance, one of the things that everybody had in common, with the exception of Benjamin Franklin, was strong social disconnectedness, a sense of separateness. It’s not the same thing as introversion, because sometimes, they had rather domineering personalities. Like you wouldn’t call Steve Jobs an introvert, but his characteristics often felt socially detached, or like the rules didn’t apply to him. If you were to study both Dean Kamen and Steve Jobs, you would say, “These are both pretty weird guys.” They’re also people who very strongly decided, “The rules all the rest of you are playing by don’t apply to me.” There is a great quote Dean has in Esquire: “Don’t tell me it’s impossible, tell me you can’t do it. Because the only laws we really know are…” And then he lays out three laws, including the periodic table. I&T Today: Maybe he wouldn’t be the biggest fan of the way we’re educating our youth. Melissa Schilling: No, actually he was adamantly opposed. He thought that conformity-based learning was completely damaging to both creativity and the soul. Another thing that a lot of these innovators had in common is that they didn’t do well in school, or didn’t like school, or didn’t spend much time in school. Thomas Edison had almost no schooling. Benjamin Franklin, the same. Albert Einstein went to school but had poor attendance and his teachers kind of hated him. He would sometimes score the highest in his class and sometimes the lowest. Steve Jobs and Dean Kamen both dropped out of undergrad. Elon Musk and Sergei Brin just showed up to take the tests. They were self-taught. It’s not that they didn’t like education. They were all extremely avid consumers of education. They loved to read extensively, sophisticated stuff, on their own terms. Elon Musk notoriously read every book in the library at the town where he grew up. He told Rolling Stone, “I was raised by books, books, and then my parents.” Then he started on the encyclopedia. Einstein was very much self-taught. He would read math texts the way other people would read adventure novels. Nikola Tesla, too. I guess the lesson here is that these people had this incredible appetite for knowledge. I&T Today: What is the threshold for a genius? Melissa Schilling: I’m not going to be the arbiter of what we call a genius, but every person I wrote about has been deemed a genius by many others, with various forms of evidence. Of all the people I studied, probably the one that people would least consider a genius is Steve Jobs. When he was in fourth grade, Jobs was given a test that put him at a 10th grade level, and they said, “Oh yeah, he’s got a genius IQ absolutely.” Everybody else, it was so clear-cut. Nikola Tesla might have been the smartest, but also the craziest; he had some serious psychopathology going on. Elon Musk has a lot of characteristics in common with Nikola Tesla in terms of the way their brains work. I&T Today: What made Tesla so brilliant — and crazy? Melissa Schilling: Nikola Tesla had an eidetic memory. Elon Musk, too. When they visualize, that visualization takes over their mind; they see only what they’re thinking about. They had this enormous capacity to do advanced calculus and physics equations in their heads because they could keep activated in their minds in real time. All the innovators I studied had or have exceptional memories. As a child, Marie Curie famously memorized long poems after only hearing them a couple of times. Edison would meet someone casually and then, a decade later, remember their name, birthday, and spouse’s name. I talk quite a bit about intelligence and memory in one of the chapters of my book. I&T Today: It sounds like these people, and others, have a keen ability to access different parts of the brain. Melissa Schilling: Being crazy won’t make you a genius, and not all geniuses are crazy. Innovative capacity is not a linear relationship of intelligence, either. You can be a genius without being innovative, but most of your serial breakthrough innovators are going to be pretty darn smart, we can put it that way. It’s a huge advantage to be very intelligent and able to manipulate things in your mind quickly. To quickly follow lots of paths down more steps of association is a huge advantage in innovation. That’s where you see the relationship between intelligence and creativity. We don’t want to give people the idea that you have to have a genius IQ to be innovative, and you certainly don’t have to be crazy. I&T Today: What are a couple of practical things that our readers can do to better channel their inner genius and improve their businesses, careers, or innovations? Melissa Schilling: The first that comes through loud and clear from studying these people, and the science of creativity more generally, is that you need to spend some time in solitude. You need to do some thinking and reading, and writing alone. If you are doing everything in teams, you are really thwarting a lot of your ability to come up with big ideas because teams have a tendency to bring us to compromises. While somebody else is talking, they’re not only keeping you from talking, they’re keeping you from thinking. They’re changing your thought patterns and hijacking your thoughts. You won’t come up with your most original ideas when somebody else is talking to you. Also, all the innovators except Edison were extremely idealistic. They were all working toward a noble goal intrinsically valuable to them, more important than their health, family, leisure, or comfort. It was an incredible motivator and caused them to think very, very big. Nikola Tesla wanted to create free energy to relieve humankind from any form of burdensome toils. Dean Kamen wants to eliminate disease and suffering for humankind. Elon Musk wants to get us to Mars so that we are an interplanetary species, which he thinks is important for avoiding extinction. He also wants to get us onto renewable energies. These goals kept them focused and driven.